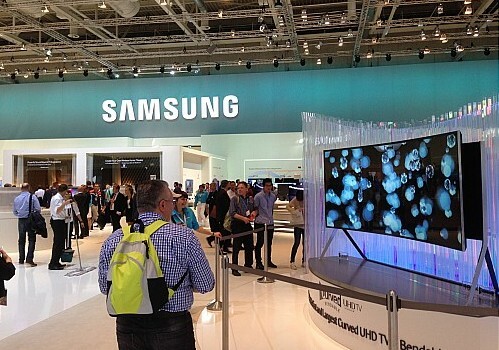 Qingdao’s China International Consumer Electronics Show (SINOCES) sent a delegation to visit IFA, the global trade show for consumer electronics in Berlin, from September 2 to 10. 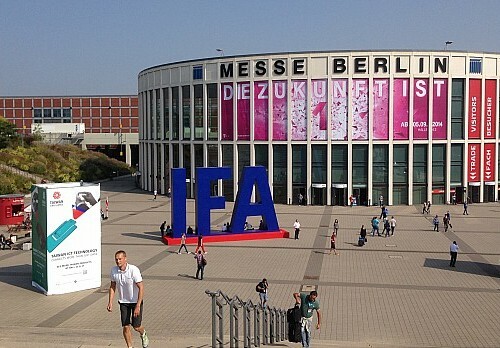 With 28 exhibition pavilions, the 2014 IFA featured such highlights as UHD, 4G and environmental protection technology, attracting large numbers of retailers, buyers, and experts from the industry and the media. The Qingdao delegation distributed more than 500 promotional materials and paid great attention to the latest technology of Sumsung, Intel, Panasonic and Sony. They benefited greatly from the IFA, helping them to enrich the programs and activities of SINOCES in 2015. As one of the largest electronic product exhibitions in the world, the IFA presents the latest products and innovations in the heart of Europe‘s most important regional market. It offers a comprehensive overview of the international market and attracts the attention of trade visitors each year from more than 100 countries. The 13th China International Consumer Electronics Show (SINOCES) was held by the Ministry of Commerce and the Shandong provincial government at the Qingdao International Convention Center, from July 11 to 14.